The City of Puerto Madryn is bathed by the blue waters of the Nuevo Gulf, on the East of the Province of Chubut, and it lies on the cliffs shaped by a small plateau that features an impressive perspective of the Atlantic Ocean. The whale season is one of the attractions that have made this beautiful city of Puerto Madryn famous worldwide. From June to December, various populations of southern right whales reach these shores. Visitors may watch them both on board the boats leaving from Puerto Pirámides and from some natural viewpoints and almost all the beaches bordering the city. Due to the great deal of SCUBA divers from all round the world that choose this city, Puerto Madryn has projected countless artificial reefs in the last few years to be used in the traditional first-time diving experiences. No wonder this city is known all throughout the country as the Diving Capital of Argentina. Founded in 1865 with the arrival of 150 Welsh immigrants, Puerto Madryn was named after Sir Love Jones Parry, Baronet of Madryn and one of the best-known dwellers of this city in the Welsh country. Today, when it is visited by thousands of tourists year after year, Puerto Madryn continues to be the center of tourist services in the Patagonian coastline and the access to the huge Valdés Peninsula, declared World Natural Heritage in 1999. In the summer, its shores also lure those who enjoy sunbathing. The bathing resorts in Madryn have the entire necessary infrastructure to practice numerous nautical activities, such as windsurfing and, of course, SCUBA diving. Its particular geographical location causes rainfalls to be scarce in this area all year round. Annual average temperature is about 14º C, with maximum 35º C in the summer and dropping to 5º C in the winter. 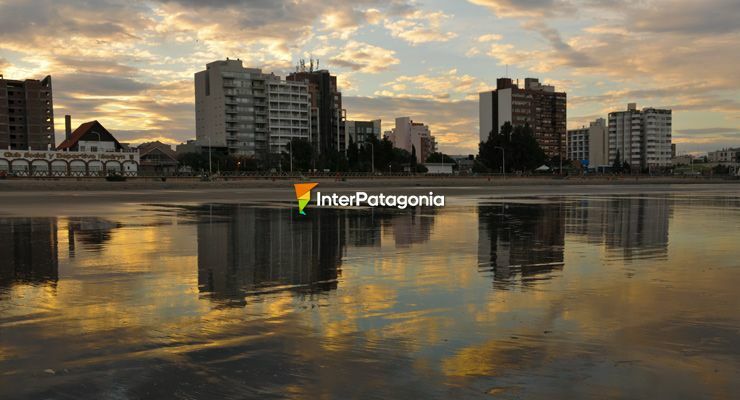 To reach Puerto Madryn from Buenos Aires, visitors must travel 1,400 kilometers along National Route 3. Various airlines fly daily to the City or to Trelew, which lies 67 kilometers away. Shuttles may be hired to cover this distance.